The S.M.A.R.T. 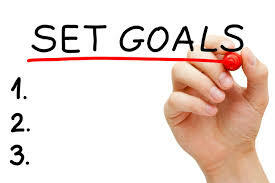 Goal setting methodology is easy and powerful, and it provides both parties the necessary certainty, that goals are understood. The methodology defines the standard for setting goals; the manager cannot be vague and the employee cannot argue about a different understanding to the defined goals. Today, most goals should be SMART. As the methodology is clear and straightforward, it is used for the performance management and goal setting. The SMART Goals methodology defines the approach to define a precise goal, which is understood and mutually agreed. It provides guidance to managers, as they prepare goals for the team. It is the role of the manager to set clear and precise goals to employees. The Specific means that the goal has to be described in all details. The manager has to defined the final target using a detailed sentence. Managers make usually mistakes in the definition of the specific goal. They tend to simplify their job, and they define the general goal (which will be specified later). The goal cannot be general, as the employee can work on accomplishing goals and can achieve something different. The Measurable stands for the clear definition of measurement to assess the goal achievement. The employee has to be sure, what is most crucial for the achievement of the goal. The employee can make many adjustments during the year, but the measurement of the goal should be clear. The manager has to receive the measurable result, and the employee has to be recognized for the successful completion of the goal. The Achievable means that the manager does set realistic goals. The goals have to be challenging, but they have to be realistic. The employee has to be able to make sure, that the goal can be achieved within defined time frame and quality. The unrealistic goals damage motivation of employees. The challenging goals support the competitiveness in the team. The goals are about aspirations and ambitions of the manager; it is not about wild-dreaming. The employee has to be able to find the way how to achieve the goal. The Relevant stands for the motivation of the manager. The manager cannot set just goals. The goals have to be aligned with the business strategy and the role of the unit in the organization. The relevant goal improves the quality of services provided or introduces a new service, which is required. Many goals are useless, and the company realizes no benefit from them. The Time-Bound means that the manager and employee set dates for the completion of the goal or they set milestones to be achieved. It is essential as manager and employee can plan their activities. Most goals have to be delivered on a specific date, and it has to be known. The Time-Bound means, that manager and employee set dates for the completion of the goal or they set milestones to be achieved. It is important as manager and employee can plan their activities. Most goals have to be delivered on a specific date and it has to be known.